A perfect compliment to the 2200 series boxes, these widely used parcel lockers offer a convenient way to deliver parcels. When a parcel is delivered, the parcel locker key is placed in the recipient's mailbox. Once the parcel locker is opened, the key is automatically retained in the locker until it is released with the master or control key. 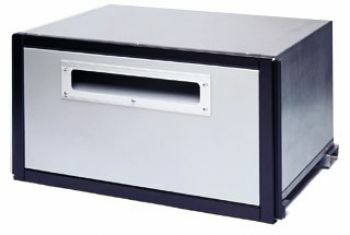 The (MDC) mail drop compartment can be installed in traditional wallmount applications, HSS Industries' 101R Front Loading Enclosure, and the 101C Rear Loading Enclosure. Download our HSS Rack Ladder System Installation instructions in PDF format by clicking here.